A combination of superb guest services and distinctive accommodations make Fairmont Pittsburgh a place of unrivaled presence. With breathtaking views of PNC Park, the three rivers and the Pittsburgh skyline guests have the immediate feeling of truly being in the center of it all. From the entertainment and financial districts to world-class sports facilities, Fairmont Pittsburgh is the ideal "home base". 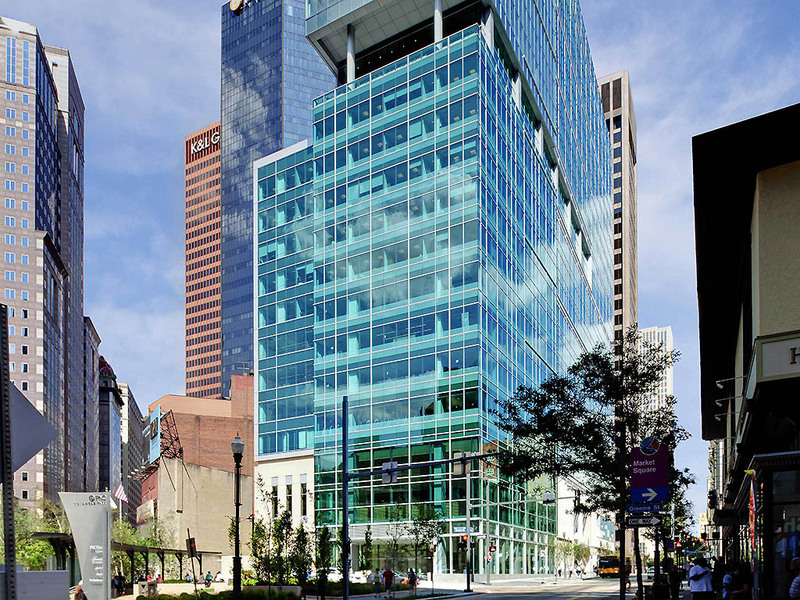 We are proud to be the only LEED Gold certified hotel in Pittsburgh. Only LEED certified hotel in Pittsburgh and our environmental practices will appeal to todays traveller looking for a travel experience that coincides with their values. Fairmont Pittsburgh is also the only true luxury hotel in the city of Pittsburgh. Seamless technology complemented by lavish amenities in every spacious guestroom ensures that- whether the visit is for business or leisure- travelers can be fully connected and indulgently pampered. welcome to fl.2, where unexpected details come together. a place where fresh farm eggs, locally grown produce, home baked goods, hand selected ingredients, and finely crafted cocktails are always on the menu. Inspired by Pittsburghers Andy Warhol and Andrew Carnegie, Andy's serves delicious cocktails and food daily in a sophisticated atmosphere. Grab a seat at the bar or get comfortable in one of the lobby couches where Art Meets Industry. Muito boa. Os funcionários são muito simpáticos (à exceção da funcionária do concierge) e as instalações muito novas e confortáveis.